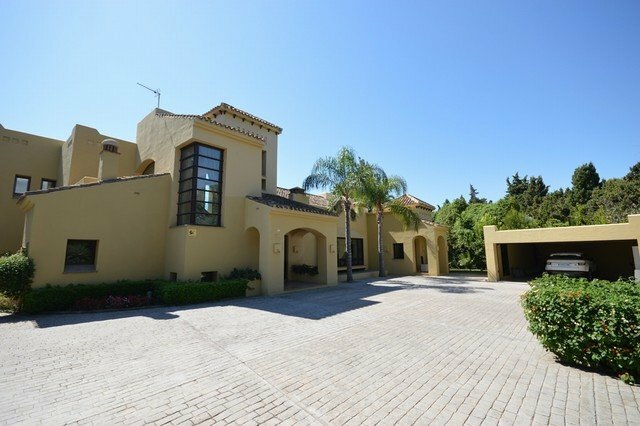 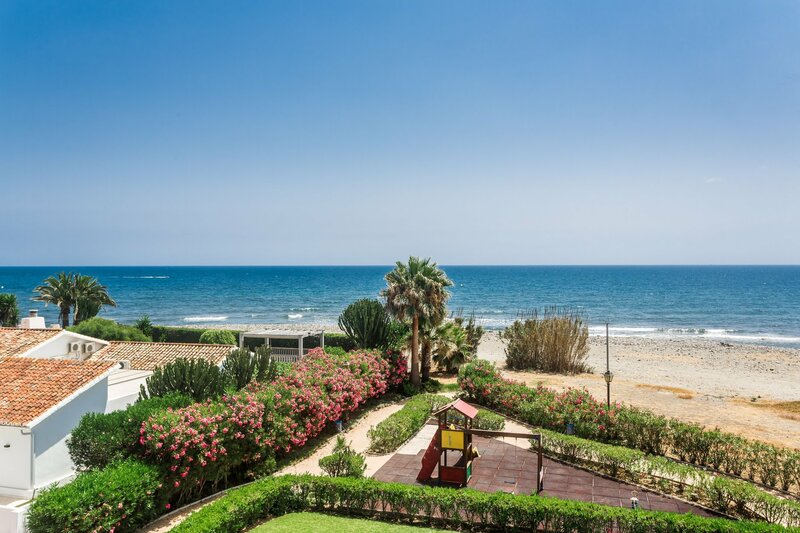 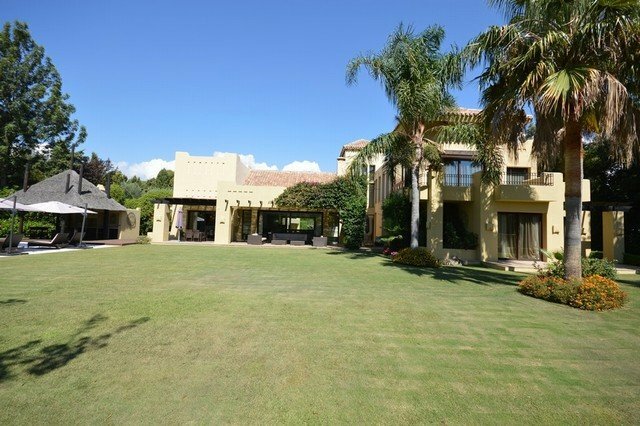 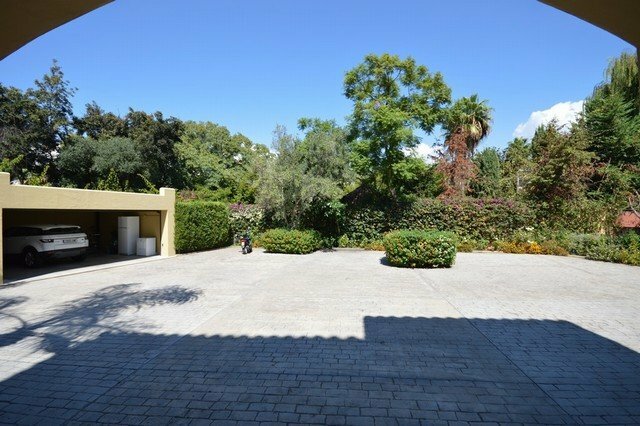 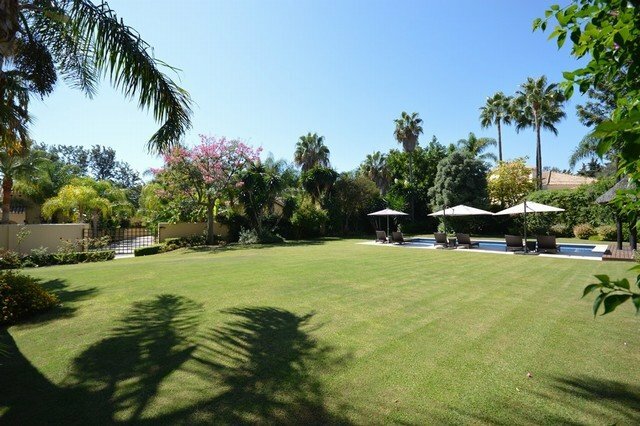 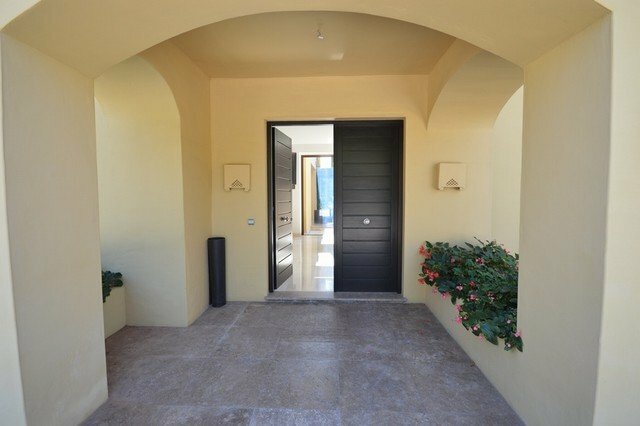 Magnificent beachside villa in a small community of only four villas, situated in Guadalmina Baja, within a few minutes walk to the beach, golf and a 5-star hotel. 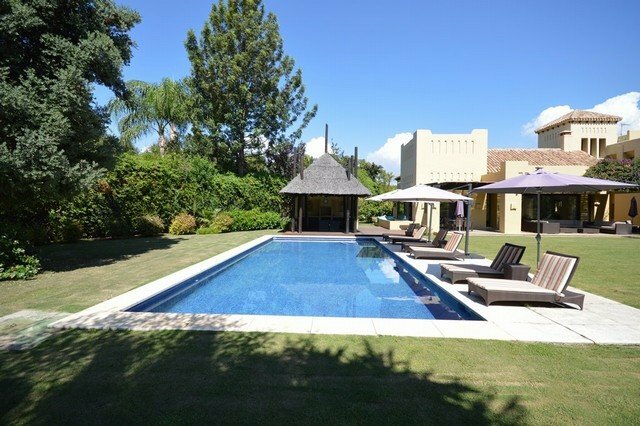 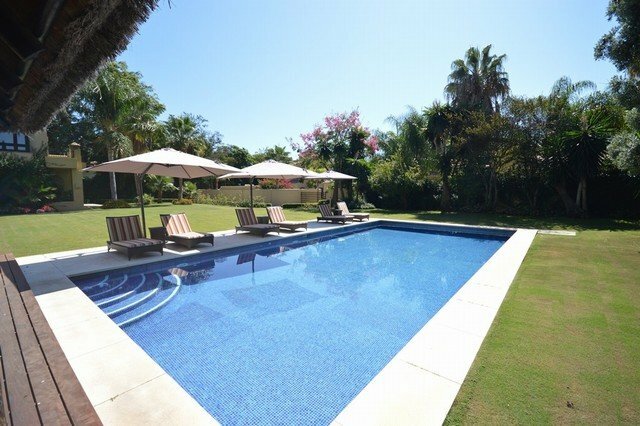 Recently built, the property was designed by the renowned architect Melvin Villarroel and is surrounded by mature gardens with a heated pool. 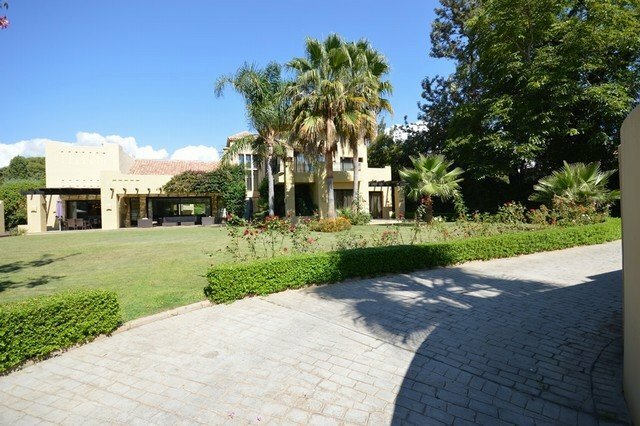 Distributed over two levels plus a basement, accommodation comprises, on garden level: entrance hall; living room with double height ceiling and fireplace; TV room; separate dining room; modern kitchen with Siemens appliances; covered terraces; two en-suite bedrooms; guest toilet; laundry room. 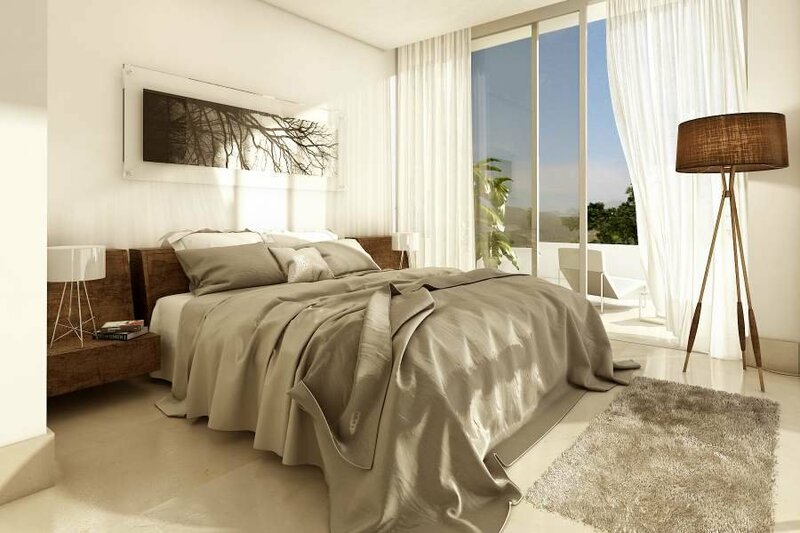 Upstairs: master en-suite bedroom with dressing area and private terrace. 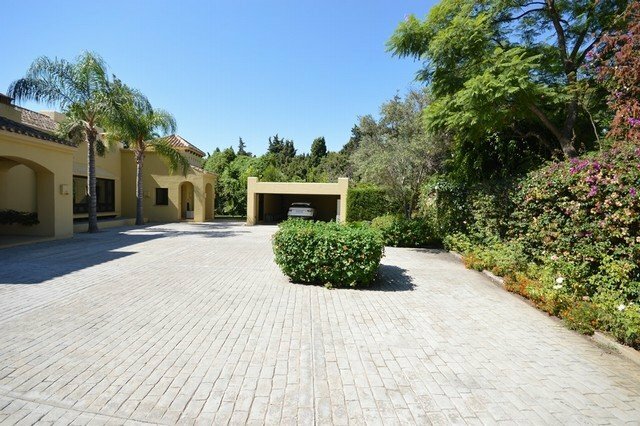 Basement: two en suite bedrooms; wine cellar; state-of-the-art home cinema; 2nd reception area; gymnasium with sauna and shower; storage room, machinery room and double garage. 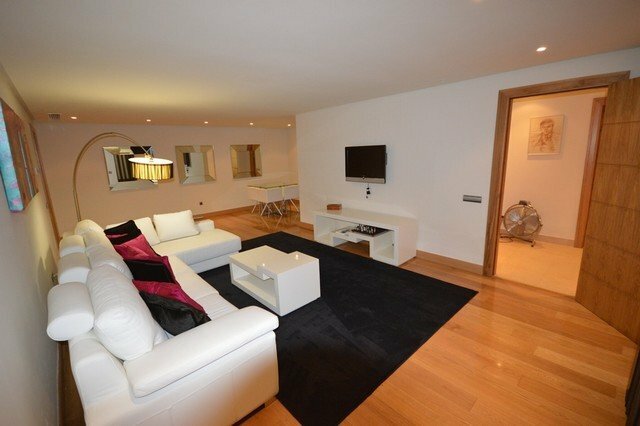 Staff´s apartment. 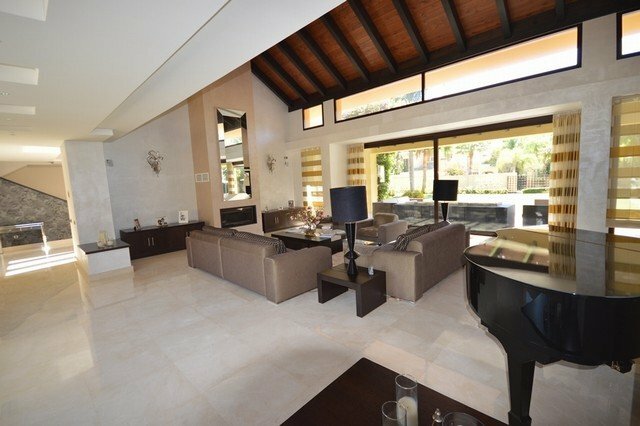 Tiled combining marble and parquet floors, fitted with Domotic system, surround sound music system and under-floor heating. 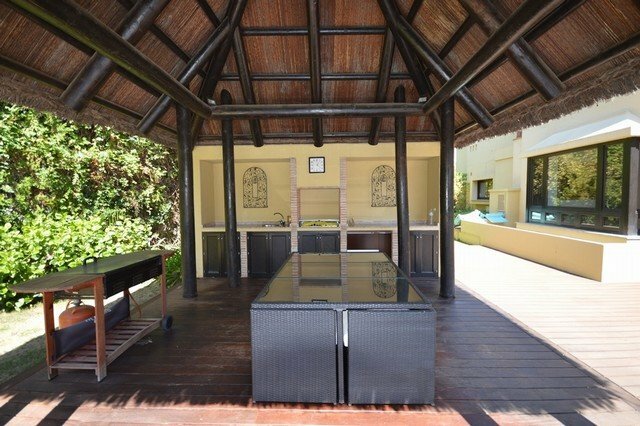 Covered barbecue area next to the swimming pool; outdoor shower and WC. 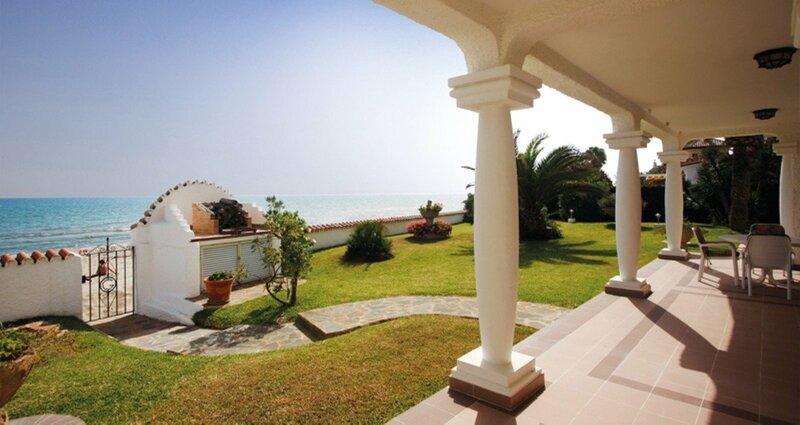 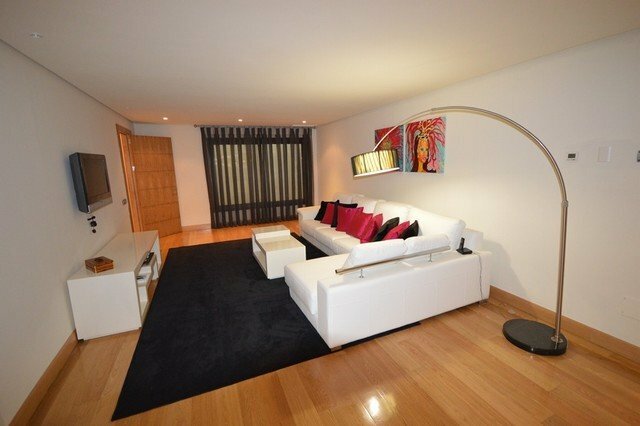 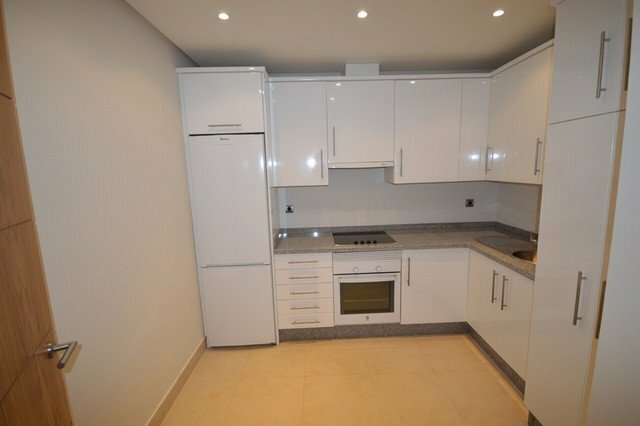 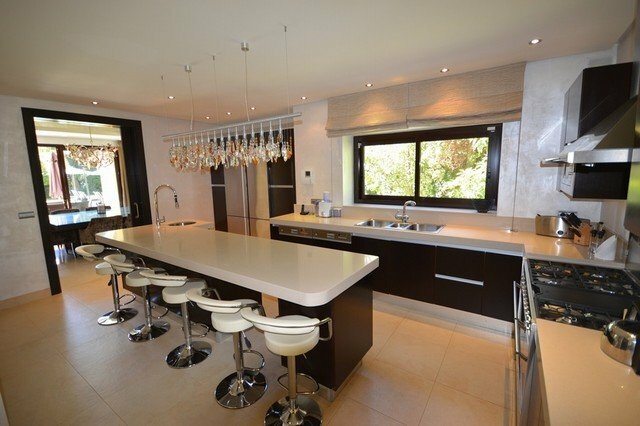 A superb family home within a 7-minute drive to Puerto Banús!